Clusters of up three deep golden-yellow flowers with slightly reflexed petals and deep yellow cups appear in March and April above the narrow, strap-shaped leaves. 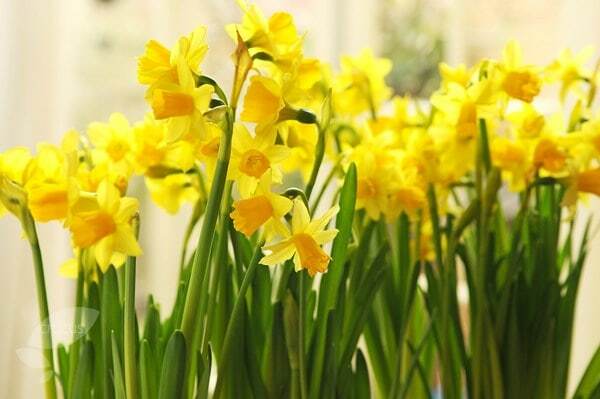 One of the most popular forms, this delightful dwarf narcissus makes a fabulous early spring display for a sunny window-box. Blue grape hyacinths and slow-growing variegated ivies help to extend the season of interest. Garden care: Wearing gloves plant bulbs 10-15cm (4-6in) deep from late summer to early autumn. After flowering feed with a balanced fertiliser, dead-head and allow the leaves to die back naturally. These little gems are a bright burst of colour while we are still experiencing grey days! Being small they withstand the buffeting of rain & wind & remain little beacons of light in the garden! Always a jolly addition in the garden + easy to pop in pots! I keep a few pots of these small sized daffodils for moving around the garden as the flowers start to appear - quickly boosts a dull or empty corner! the bulbs have been in flower for ages and look beautiful. 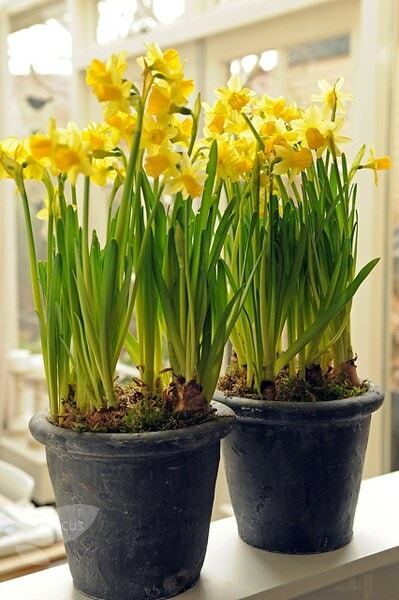 Gorgeous small Daffodils. Look charming in drifts. This is a true gem for the Spring Garden and works well with N. February Gold. Very versatile in the Garden and Tubs on the patio and in small bowls inside and out. After experimenting with a wide variety of daffodils I've concluded that "dwarf" is the way to go and Tete-a-tete is the best of them. They barely noticed "the beast from the east" whereas the tall daffs look like a colourful compost heap. Planting these by the hundred has a dramatic and reliable effect. 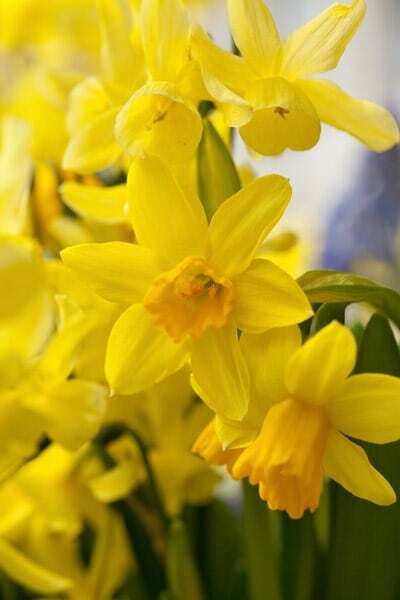 This is my favourite dwarf daffodil! As I have a small garden, I am considering whether to plant all garden bulbs inside pond planters sunk into the earth, thinking that after flowering, I could simply remove the baskets and replant the empty spaces. 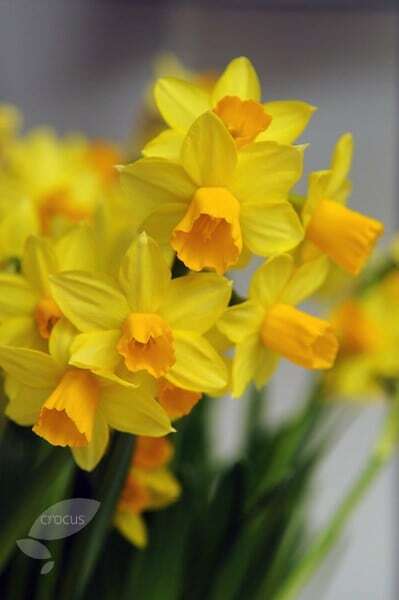 - If I were to try this, would I need to keep the resting bulbs and their soil watered until next season, or not? (I have various narcissi, muscari, tulips, bluebells and snowdrops). Thank you very much for your advice. Hello, If you are keeping the bulbs planted in the pond planters, then yes you should water them occasionally during the summer, but if you are waiting for them to die back, lifting and storing them in a cool dark spot in the shed, then you do not need to. It is worth keeping in mind however, that of the bulbs you have mentioned the tulips tend not to do very well in subsequent years, so are better replaced each year. Bulbs produce lovely foliage but no flowers. Either no buds at all appear or those that do are dry and virtually empty of petals. 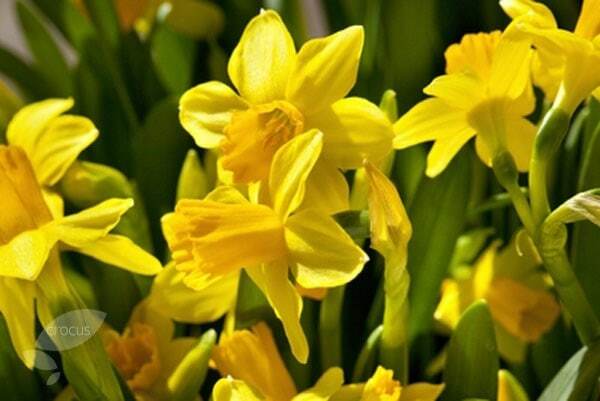 Daffodils (Narcissi) are usually the worst affects, especially multi-headed or double forms.